MERCER COUNTY, Ind. 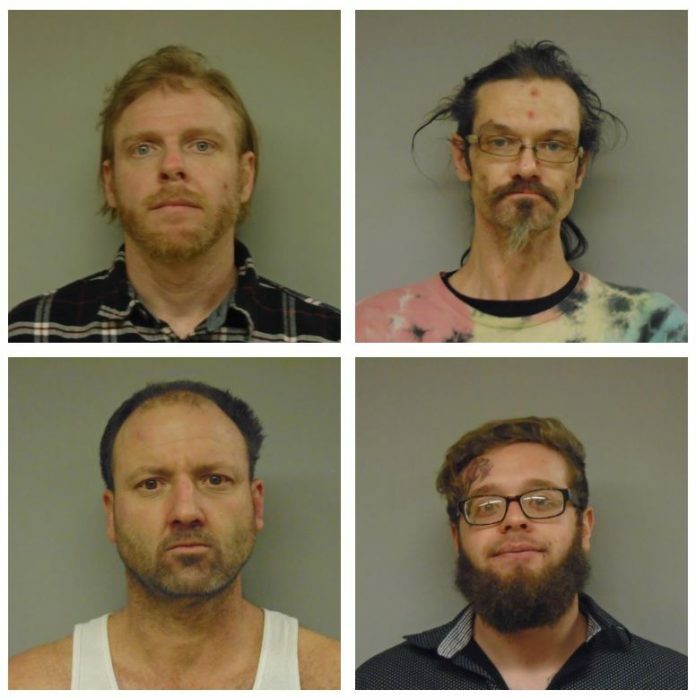 (WOWO) – Four people were arrested in Mercer County Monday on various charges. Around 11:15 a.m., police conducted a traffic stop on Wayne Street in Celina, Ohio. Casey Hammond, 35, was arrested for a warrant for contempt of court. A Mercer County K-9 also alerted police to the presence of narcotics in the vehicle. The passenger, Adam Cornett, 37, was then arrested for the possession of drug abuse instruments. Then just after 12:30 p.m., officers witnessed Jason Niemeyer, 39, enter his home in the 600 block of North Walnut Street in Celina. There was a warrant out for Niemeyer’s arrest for drug trafficking. Police were able to obtain a search warrant of the home, where they found suspected drugs, drug paraphernalia and cash. Niemeyer was arrested along with Wesley Elam, 26, for a parole violation. Previous articleA federal ban on bump stocks goes into effect today. What happens if you have not turned yours in?